Two weeks ago, bed bugs were found in Bernice McDowell Elementary School in Taylor. As a result, students were asked not to bring backpacks at school to prevent the further spread of the insects. But that wasn’t the end of it. Now, the vampire-like pests are giving a local high school the same headache. On Wednesday, Kennedy High School sent letters to parents informing them of the discovery of bed bugs in a classroom. For the meantime, like Bernice McDowell Elementary did, it won’t allow students to bring backpacks at school. Their items must be put in clear plastic bags as a precaution. In the letter sent to parents, it was said that once the pests were discovered, students were transferred to another classroom. Meanwhile, the affected room was quarantined. And after school, it was sprayed with a pesticide. Another stronger bed bug treatment was also scheduled for it this weekend, stated the school officials. One parent named JoAnn Reno, whose two daughters go to Kennedy, expressed though that the school should have been closed. “Taylor’s Kennedy High School is facing the same bed bugs problem that a Taylor elementary school faced just two weeks ago, and classes still are in session. There is a possibility that the number of bed bugs found in Kennedy High School were from McDowell Elementary School. But there is also a chance that they were not. After all, the blood-fed pests could hitch a ride on anything and anyone. But whatever is the case and wherever the pests are sighted, they should be eliminated. And sure, pesticides could kill bed bugs. But are they safe to use, especially in a place where your kids are always present? Well, given the chemicals often used in them, they actually present many health risks. 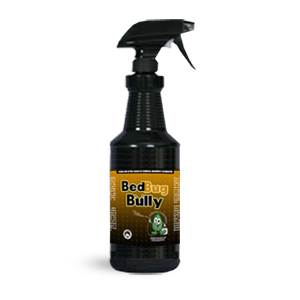 So to be sure that your bed bug elimination is safe and convenient without being too expensive, why not spray Bed Bug Bully instead? It is an organic-based bed bug spray that was already approved as pesticide-exempt by FIFRA 25(b). And so, you could be sure that it won’t compromise your health and that of your family. Moreover, several pest-control companies have already tried and affirmed that it is effective. Grab a Bed Bug Bully Complimentary Sample Today!